There’s something about simple, healthy eating. I enjoy using the earth’s harvest and quality meats together to create nutritious meals that not only taste delicious but will benefit and fuel the body. You will find that most of the recipes I share are centered around whole foods – fruits, vegetables, and complete protein sources. I recommend buying organic if possible or from a trusted local farmer! I’ll discuss the benefits of eating organic whole foods and get into the why’s behind the paleo diet approach in future posts. But for now I want to share with you one of my favorite dinner recipes: Chili-Stuffed Sweet Potatoes! Vitamins – A, C, E, K, and B1, B2, B3, B6, B9 (hello folate, pregnant friends! ), B12, B5, and Choline. Minerals – Calcium, Iron, Magnesium, Phosphorus, Potassium, Sodium, Zinc, Copper, Manganese, and Selenium. 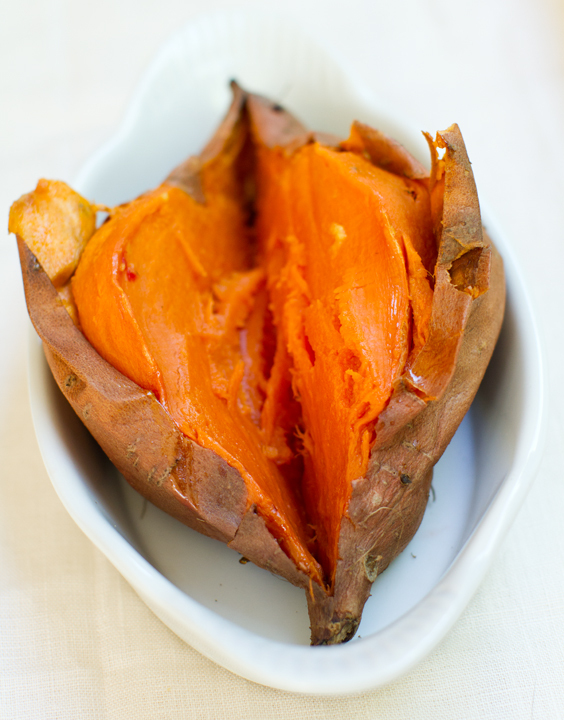 If you’re not a fan of sweet potatoes, not to worry! The chili alone is absolutely delicious as a main dish, as pictured below. This recipe is also super versatile! Switch it up by using the chili to stuff your favorite bell pepper! These options are whole-30 compliant, gluten, dairy, and soy free and so forth.. but to those of you who could care less, serve it up topped with cheese or even in a bun for a healthy sloppy-joe alternative! Want a kick? Top with sliced jalapenos! Bake sweet potatoes at 400 degrees Fahrenheit for one hour, or until done. 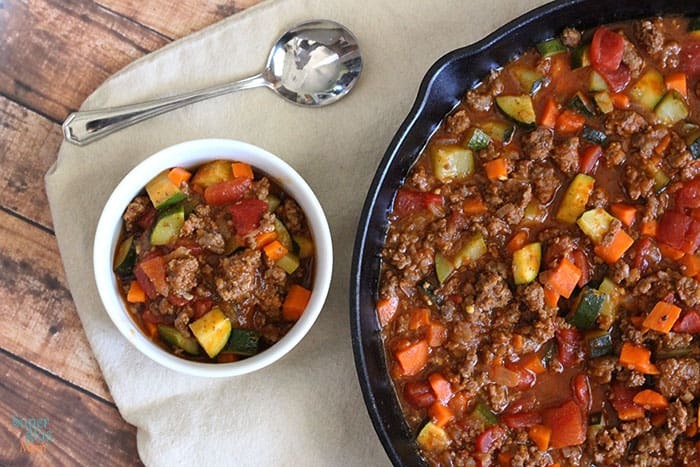 While potatoes are baking, brown ground beef in large cast iron skillet for 4-5 minutes, drain fat and set beef aside. Saute onions in olive oil for 3 minutes, add zucchini, green pepper, and garlic. Continue cooking for 5 minutes or until tender. Add beef back to skillet, stir to combine. Stir tomato paste into mixture. Add diced tomato, apple cider vinegar, Dijon mustard, smoked paprika, and hot sauce. Bring to a simmer over low heat, cook for 15 minutes. Pile onto baked sweet potatoes.